We’re the software development company behind allchecked.co.uk (the biggest home improvement review portal in the UK) and the Price Engine (the UK’s first and best instant online pricing software). We’ve been developing online sales tools to help businesses grow for over 7 years and hundreds of retailers throughout the UK now use our software every day. We’ve packed all our sales tools into a simple to use control panel called ‘The Toolbox’ and we’re looking for just a handful of ambitious individuals to offer those Toolboxes to the wider market. There are over 100,000 home improvement related businesses in the UK and they could all use the Toolbox to manage their reputation and grow their sales. If you have the drive to introduce new ideas to businesses and the desire to write your own pay cheque whilst creating a healthy income for life, this opportunity is ideal for you. The simple answer is none! Don’t worry about the technical stuff because we’ll take care of all that for you. 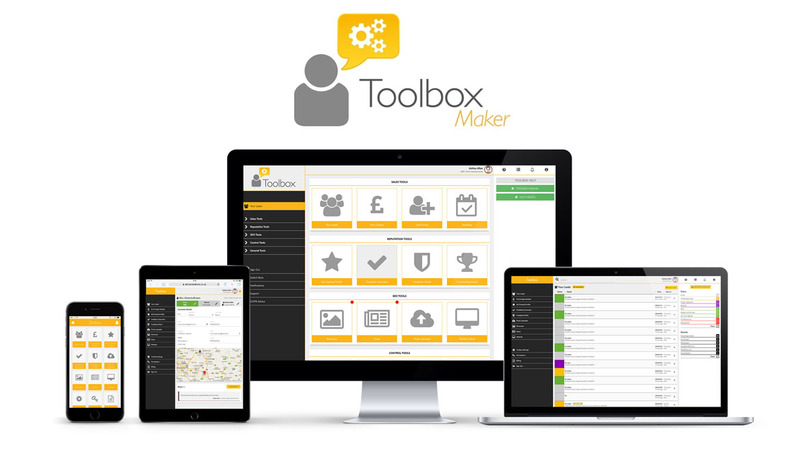 We’ll host and maintain all the Toolboxes behind the scenes whilst you manage your customers via a powerful (yet easy to use) master control panel, which we’ve called ‘The Toolbox Maker’. Invite customers to post feedback at the touch of a button. Flood Google with positive customer reviews. Share positive feedback across social media instantly. Add comments and photos to any review. Enjoy 100% protection against hoax, malicious and unfair feedback. Advertise your business to thousands of customers for FREE. Capture exclusive sales enquiries online. Generate up to 10 times more leads from your own website. Drive your competitors’ customers to you. Manage all your enquiries at the touch of a button. Add fresh content to your website at any time. Secure a 5 star Google rating. Optimise your website for free. Propel your business to the top of Google. Use the Toolbox Maker to create a fully functional Toolbox for any retailer at the touch of a button. There’s no limit to the number of Toolboxes you can make, so you can grow your client base year on year and secure your financial future. Create a new Toolbox for any company in seconds. Manage settings and permissions at the touch of a button. Take care of all your customers in one place. Technical support, hosting and maintenance are all included. Works for any home improvement related business. Create as many Toolboxes as you like. Customise each Toolbox to suit. Attract businesses from all over the UK. Grow your network year after year. Work full or part time to suit. Enjoy a weekly rental income from every customer. Keep almost all the revenue you generate. Pay just a small management fee to cover technical support. We already supply our software to hundreds of businesses but there's tens of thousands more who could benefit from a Toolbox. You can create and rent Toolboxes to any home improvement business, anywhere in the UK. The opportunity is huge! You’ll have the freedom to set your own Toolbox rental rates and the flexibility to adjust them to suit. And if you want to grow your new business rapidly you can employ your own team of Toolbox demonstrators if you like. We’ll take care of technical support, hosting and maintenance of all the software, leaving you free to focus on what you do best. "I love the Toolbox! I use it to generate leads and invite customer feedback." "We've worked with these guys for over 10 years and they've never let us down." "Of all our lead-generating activities, the price engine boasts the highest conversion rate"
"The Toolbox has been an excellent generator of leads for us." Get a Toolbox Maker now! Mr. Miss. Mrs. Ms. Mr. & Mrs. I confirm that I am authorised to order a Toolbox Maker for £3000+VAT for and on behalf of the company named above and agree to make payment immediately on completion of the initial set-up. If you have any questions about the Toolbox Maker, leave your details here and we'll give you a callback.